Heres a video showing how to find prescription sunglasses for sports, including selecting the correct tint. With so many options available and different opinions out there we keep it simple and advise just what you need to know. I have been making prescription skiing sunglasses and goggles for over 10 years now, technology has evolved but the best frame styles for skiing remain. The prescription lens technology for skiing sunglasses is easy always make sure you get digitally remastered prescription lenses, also known as Freeform, meaning your prescription is recalibrate for the exact curve / frame you choose. For goggles inserts are fitted with your full prescription and sit neatly inside the goggles, this will be explained below. The digital lenses are available in all forms, transitions, polarised, sports transitions (which have base tints) and clear for winter / night time use. I’ll keep it simple and show you the best 5 prescription skiing sunglasses and the best 5 performing prescription ski goggles. You will see a lot more available and if you’ve tried one on and loved the fit and style then go for it but if you simply don’t know what to go for then pick the frame you like the look of best out of these 5 and you’ll get a fantastic pair of skiing prescription sunglasses and goggles. Make sure you purchase the ID2 Pro version as it only costs around £20 more but you get a goggle that is incredibly usable in all light conditions, from heavy snow fall to clear blue ski days. The Pro version comes with a fixed dual vented orange lens which lifts contrast and improves depth perception, plus an additional mirrored lens which easily clip over the top of the orange lens to provide medium to bright light protection. The great advantage with this set up from Adidas is that whilst the darker mirrored lens is in place the orange lens beneath it is still lifting your contrast and depth perception so even in bright light you get to see the snow contours and bumps perfectly. The Adidas insert is specially designed for this frame which means they fit perfectly, well away from your face, allowing for less fogging up and a better experience all round. This is the latest version of the worlds best selling ski goggle, the classic A-Frame. With improved ventilation and a new helmet outrig for complete helmet compatibility these are true owners of the slopes. Make sure you get one of the new Oakley prizm lenses which will provide exceptional contrast and are usable in low to bright light conditions. The Prizm mirrored lenses are available in Jade, Sapphire and Torch, with the mirror coating hiding the insert inside the goggle completely these look amazing when worn. This is your ultimate Oakley ski goggle which comes as standard with two sets of lenses for mixed light conditions. So if you plan to wear your Ski goggles with a helmet and in all weather conditions then these are ideal. Like the A-frame you can get Prizm versions which we would recommend as the Prizm lenses are simply outstanding at lifting contrast and simply allowing you to see every dip, bump and trail in the snow ahead of you. The Oakley Airbrake has a quick lens interchange system, which is literally the fastest and most secure of ay Ski goggle on the market. The inserts fit these frames like a glove, leaving you with minimum fogging (if any) and an all together better skiing experience. Ok so these are at the top of all the prices, however wait until you read why! Uvex have developed the worlds first instant reaction lens, with a click of a button (on the goggle strap) the lens changes colour in 0.3 of a second. Yes you have just read correctly, there are even three colours to click through, grey for sunlight, rose for low – medium and clear for very overcast days / night time skiing with flood lights. The Goggle fully charged will last 30 hours, and comes with all the power leads for recharging when away. This is the ideal set of goggles if you prefer wearing sunglasses and only wear your goggles if the snow won’t stop falling. 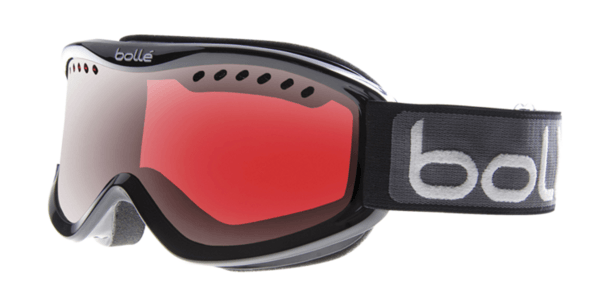 Supplied under £100 complete with the prescription insert, even better Bolle supply all Carve ski goggles with their premium dual vented gun finished lenses. These are ideal for low light / snow fall but will equally cope with brighter conditions if you get caught out as well. The latest member to the flak jacket family, offering a larger field of view than ever before and full facial wrap to protect fully against wind and snow. Great directional air flow maximises fog free experience whilst the Oakley ear socks and nose pads comfortably provide no-slip. 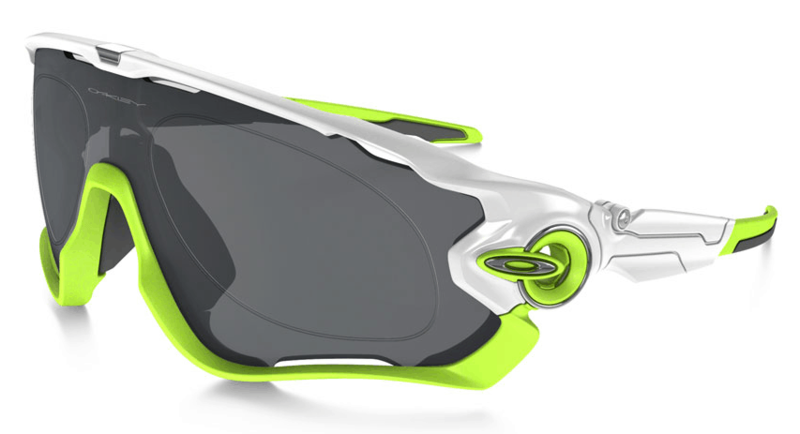 Who will these suit – The Flak 2.0 XL sunglass is a sports performance pair of sunglasses but due to the Oakley style would be just as suited for leisure wear / driving. Best Xtreme Lenses to check out – Xtreme NXT Varia Orange to Dark Brown (Amazing lenses that have a constant orange tint which also reacts to a dark brown in sunshine, great contrast lifter) They will be reacted on the mountains pretty much all the time to their dark state due to the UV levels, however the orange base tint will maintain high contrast whilst the dark brown reactive layer will reduce glare. The Flak Jacket XLJ prescription sunglasses for skiing are perfect for serious skiers who also want to double up their sunglasses wear for driving / holidays. 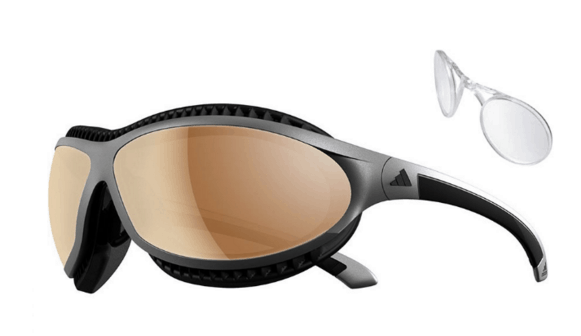 With a stylish frame and cosmetically pleasing appearance the Oakley Flak Jacket XLJ are a little less in your face than the new Flak 2.0 so a good choice if you want this style but with a little less ‘in your face’. This is the frame to go for if you have a high plus prescription, a classic skiing sunglasses with adjustable nose pads to create the perfect fit. Bolle prescription sunglasses for Skiing come with a new lens technology called B-thin, this technology uses the simple fact most wears don’t use the last temporal 1/3 of the lenses. They can then effectively make your lenses much thinner, whilst maintaining the appearance of the sunglasses. If you go fair weather skiing and don’t venture out when the powders been replaced with ice patches then polarised lenses are also available which are great as they eliminate 99.9% of glare. These are for the dedicated Skiers who simply wants the widest and deepest lens available. 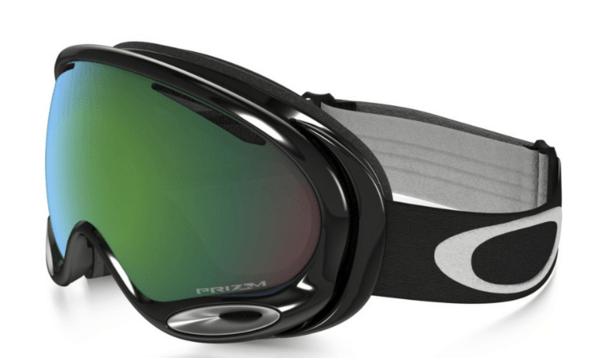 The Oakley Jawbreaker uses a visor lens which gives the best protection from high speed winds and snow. We would recommend these if you don’t really like wearing goggles, with this frame allowing you to get away with light snow fall as well due to its size and coverage. 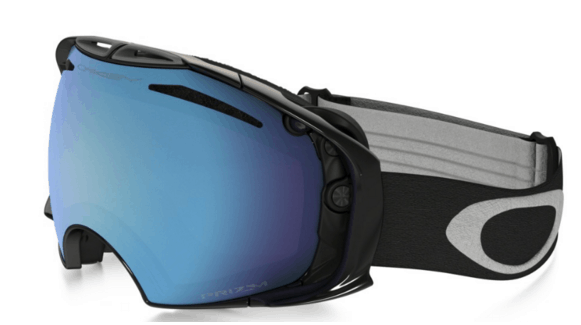 Best lenses to check out – Oakley VR28 Black Iridium (for medium to bright sunlight), this lens will allow wear in slight overcast / snow fall conditions as well as brighter days on the slopes. 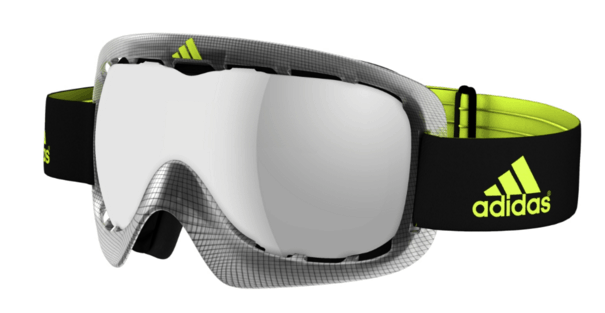 These are ideal for skiers who don’t like the full face ski goggles. With a replacement head strap the sides simply clip off and the sunglasses converts into a ski goggle. It is incredibly neat and works really well. Each Elevation kit comes with the sunglasses, a head strap, replacement orange lenses (for snow fall / low light conditions) , cleaning pouch and a hard carrying case. Do you need an accurate Pupil Distance (PD) Measurement? Should I supply my actual Pupil Distance instead of using a UK average PD? A UK average PD is around 63mm, this is the distance from the centre of one pupil to the centre of the other. But PD’s typically range from 50mm to 75mm, that’s a large area for error. If the PD is incorrect the wearer will be looking through unwanted prism and aberrations which results in blurred vision and dizziness. So is a PD difficult to take? In simple terms NO, if you have the right ruler which has a pre fitting position over your nose you can’t go far wrong. It’s for this reason extreme-eyewear.co.uk have taken the decision to make a ruler FREE forever prescription job we receive. The ruler will include instructions and be posted 1st class the same day you place your order. If I have already measured my own PD or have had it measured elsewhere should I measure myself with the -eyewear.co.uk ruler? In simple terms YES, why not it’s free and reduces room for errors, our ruler also measures each eye independently. This is more accurate and again it’s easy. How do I get a ruler? When you place an order select ‘send ruler’ from the PD selection box. Can I order a ruler before placing an order? Yes you can, a small fee of £5.00 will be charged but with every ruler we send a £5.00 extreme-eyewear voucher so if you order your prescription glasses / sunglasses from us you will get the cost of the ruler back. Other companies do print out rulers, why doesn’t extreme-eyewear? Paper, or even thin card which some printers can print on bent extremely easy. When measuring your pupil distance if the paper bends even slightly your PD will be wrong. its as simply as that, so we decided our customers deserve better. Our ruler also measures the right and left pupil distances independently, the most accurate way. Your eyesight is one of your most important sensory features so we want the best vision for every wearer.